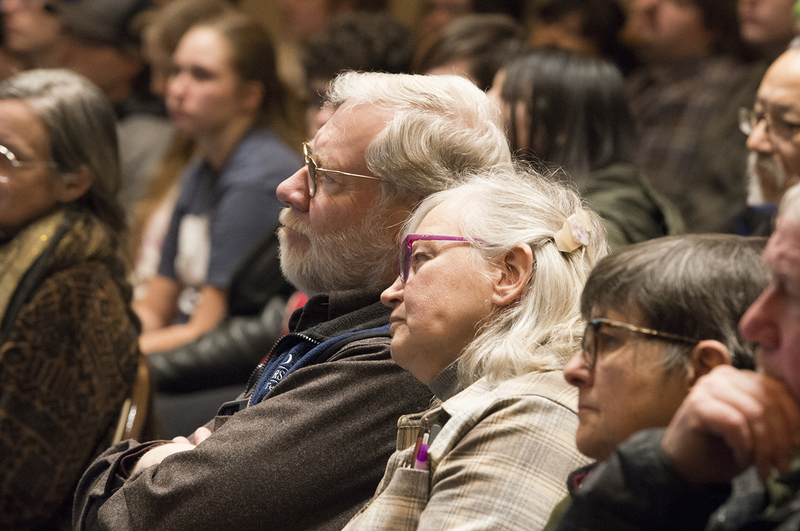 Audience members listening to Winona. 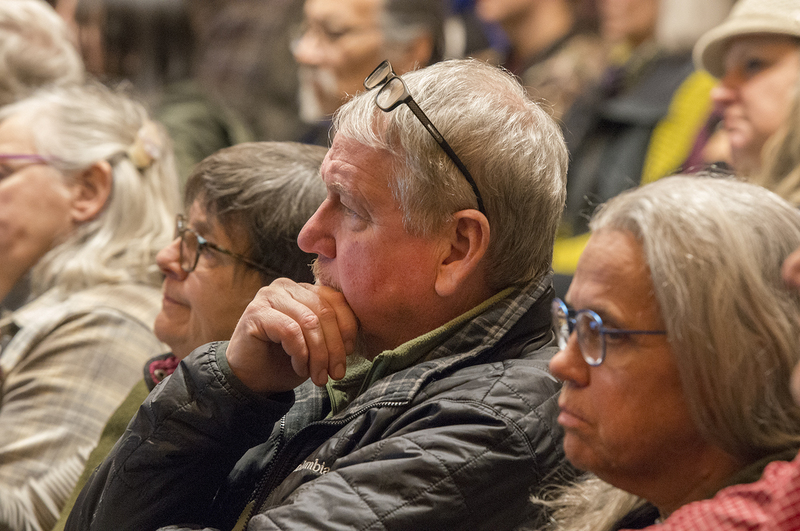 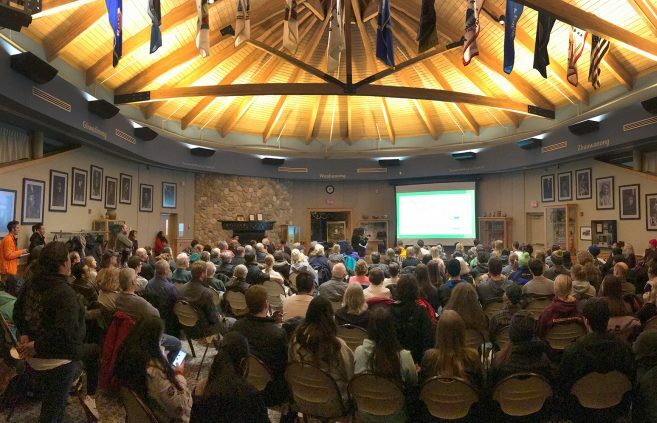 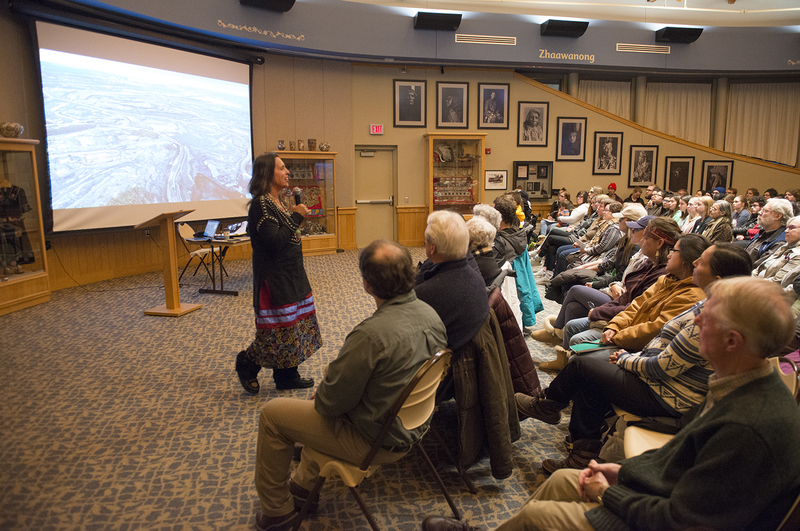 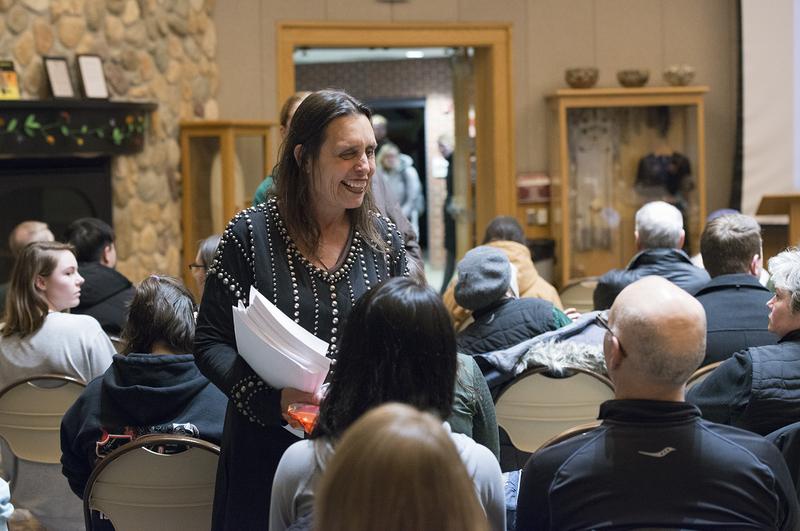 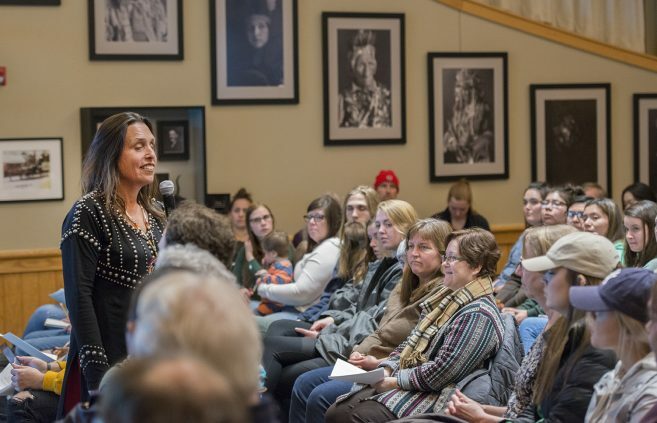 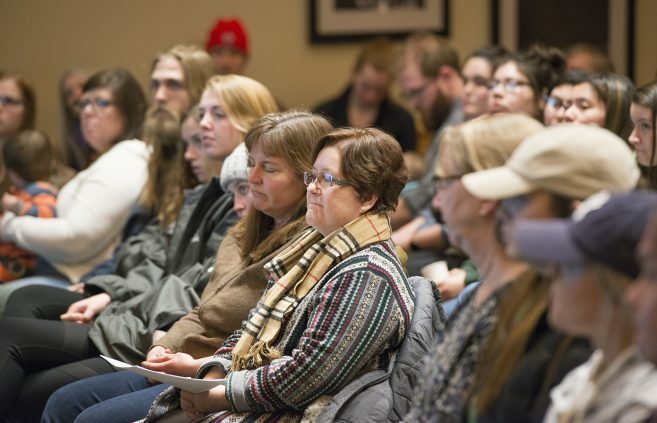 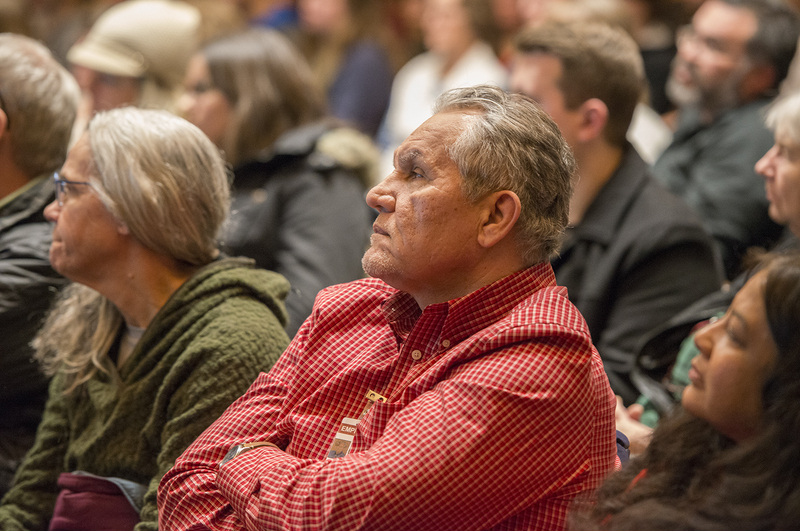 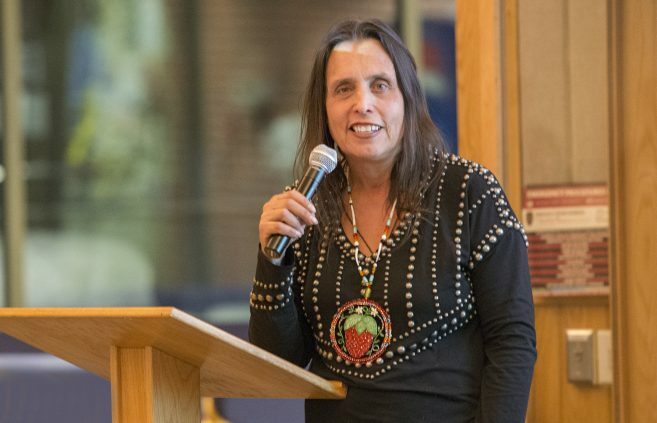 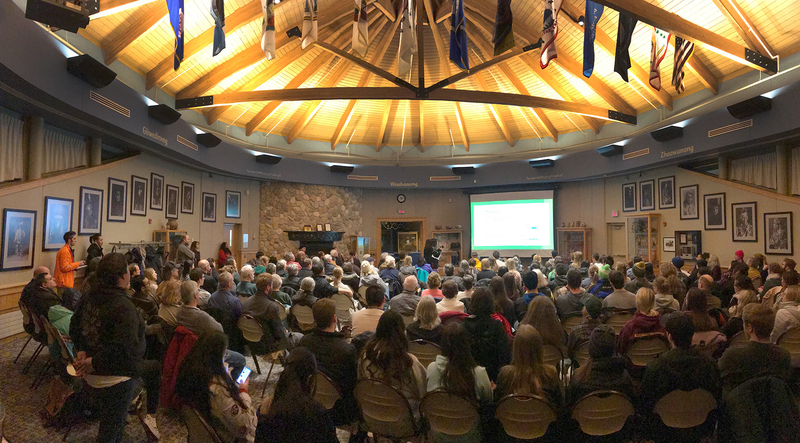 Bemidji State University’s leadership studies program welcomed Winona LaDuke, program director of Honor the Earth and former vice presidential candidate, to deliver a lecture at the American Indian Resource Center on Feb. 5. 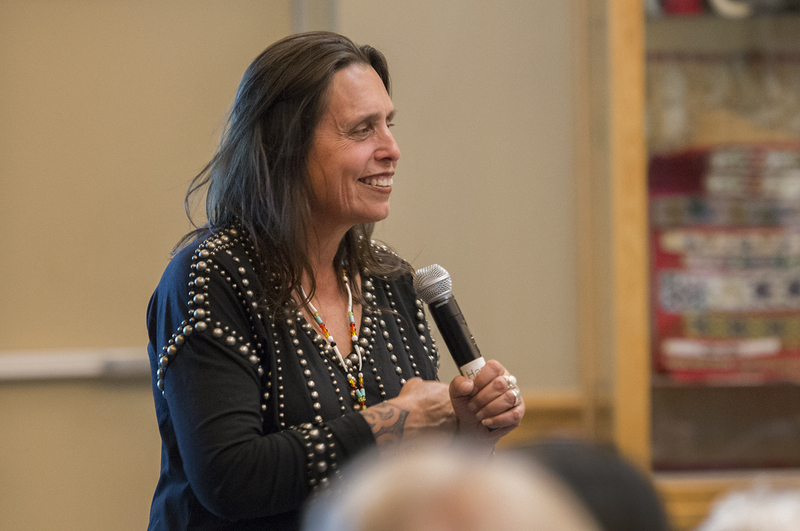 In her presentation “Be the Ancestor Your Descendants Would be Proud Of,” LaDuke spoke on creating sustainable environments and leading grassroots organizations. 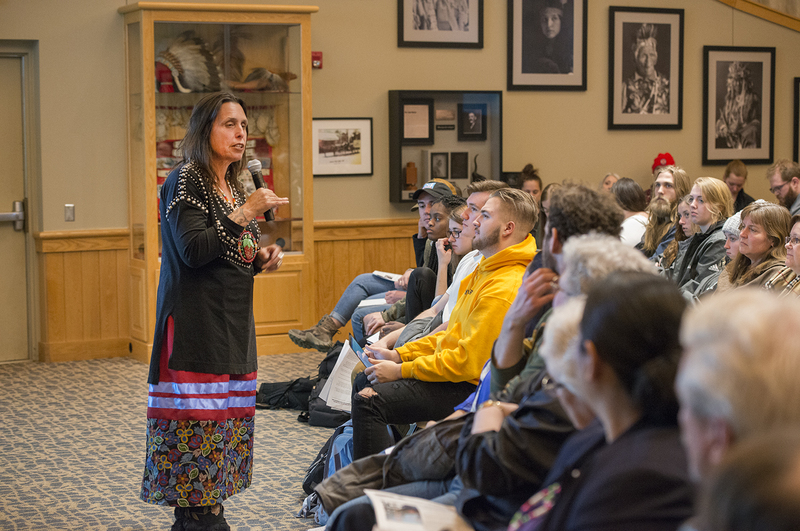 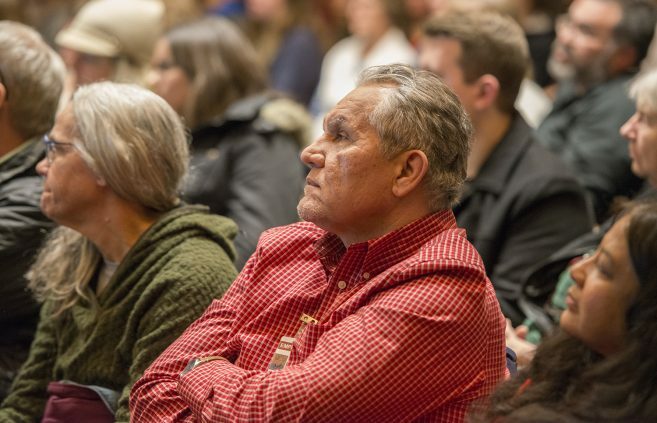 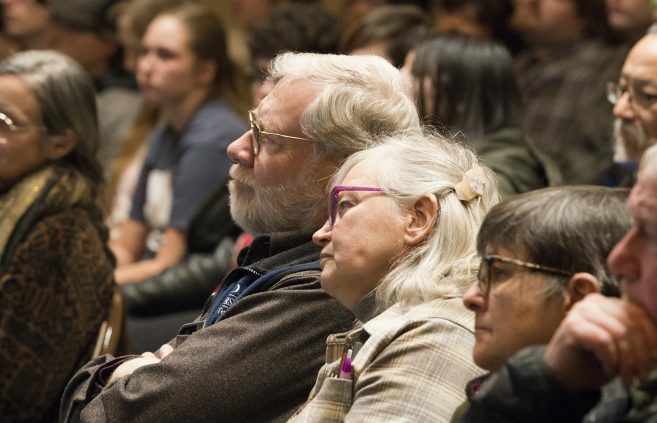 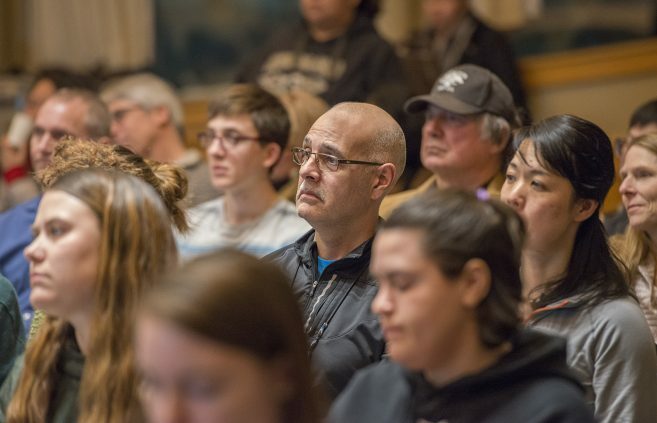 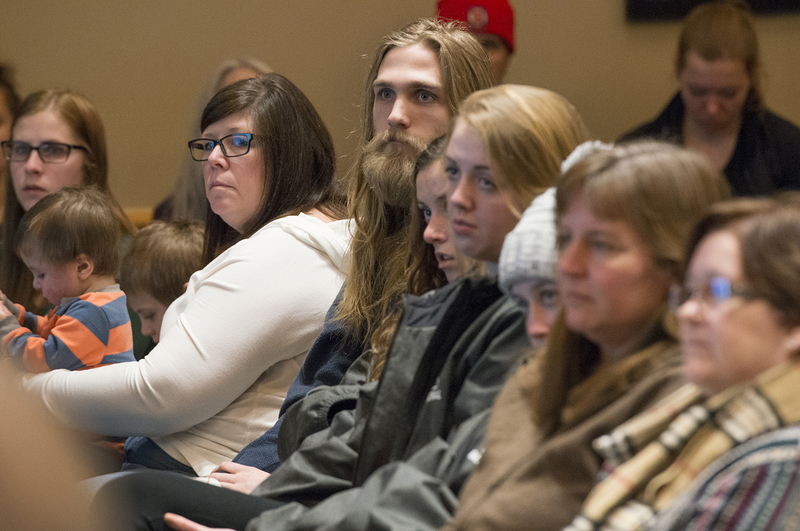 The lecture was also sponsored by BSU’s Center for Diversity, Equity & Inclusion, the American Indian Resource Center, the honors program and the sustainability office. 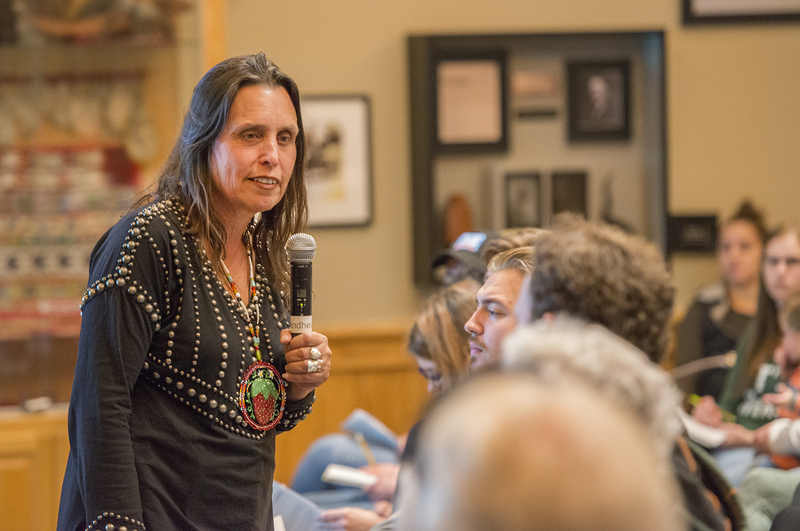 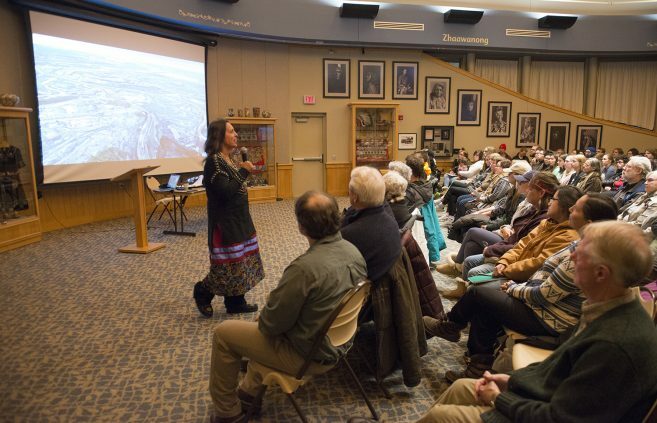 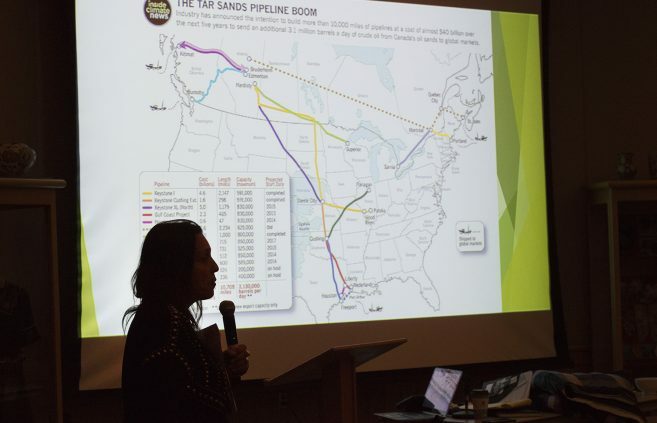 LaDuke’s presentation was scheduled to started at 6 p.m. and was open free to the public. 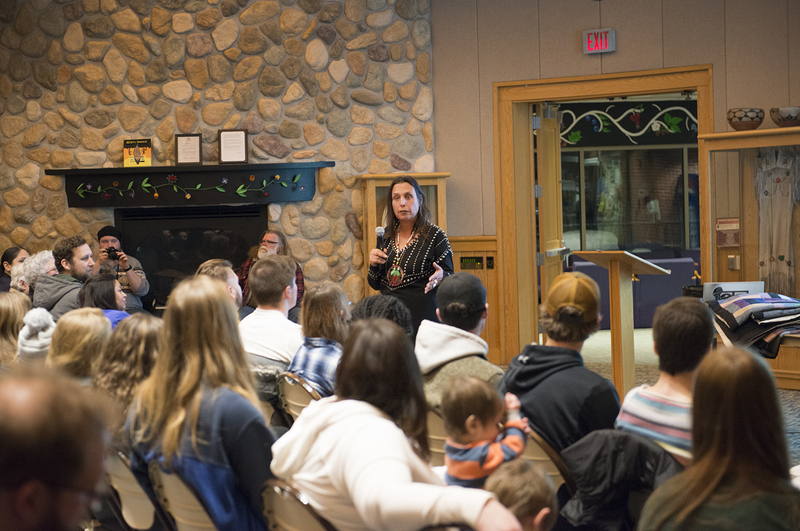 Bemidji State University’s leadership studies program prepares graduates for problem-solving within organizations and communities. 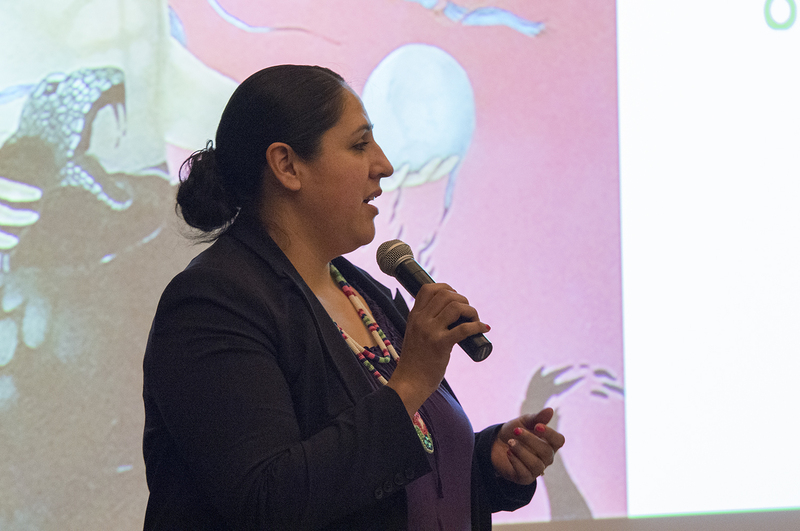 Emphasis is placed on conflict resolution, evidence-based reasoning and ethical perspectives on leadership. Honor the Earth seeks to create awareness and support for Native American environmental issues and to develop needed financial and political resources for the survival of sustainable communities. 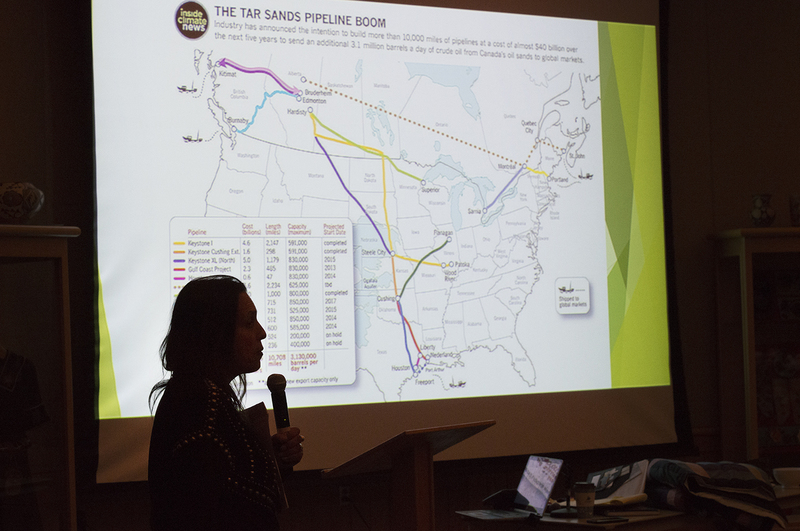 They are the only Native American organization that provides both financial and organizing support to Native American environmental initiatives.